Welcome to our annual report for 2018. It’s appropriate that in this year of the club’s 70th birthday, membership, at 270, is at its highest ever. The report is a snapshot of some of the cycling we’ve enjoyed and a celebration of some achievements. 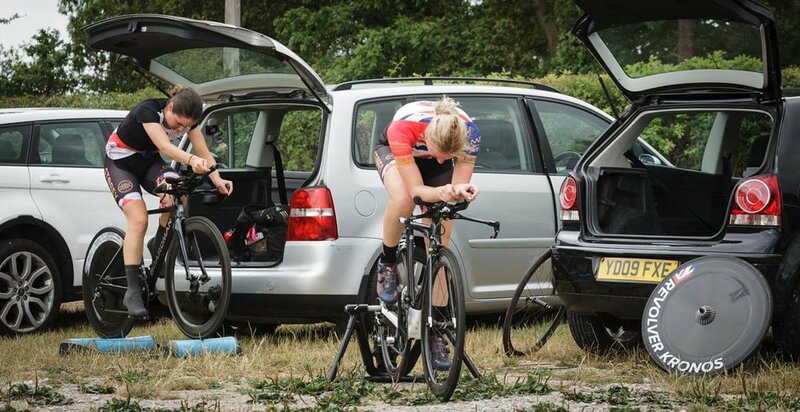 Those achievements might be in racing, trying a new discipline, completing a first club ride, keeping up on a training ride, taking on a sportif or leading a club ride for the first time. Well done to everyone who has broken new ground this year. It’s a great strength that the club offers a really wide variety of different rides and fantastic to see members introducing new ones this year. We’ve continued to organise successful public events, which remain central to our purpose and are a great way for the club to give back to the sport. Many thanks to all those who organise or help at these events, serve on the committee or in other roles, lead rides or help in so many other ways. It has been a really busy year with much work done, and the club is in your debt. See you on the road, gravel, mud or track in 2019. 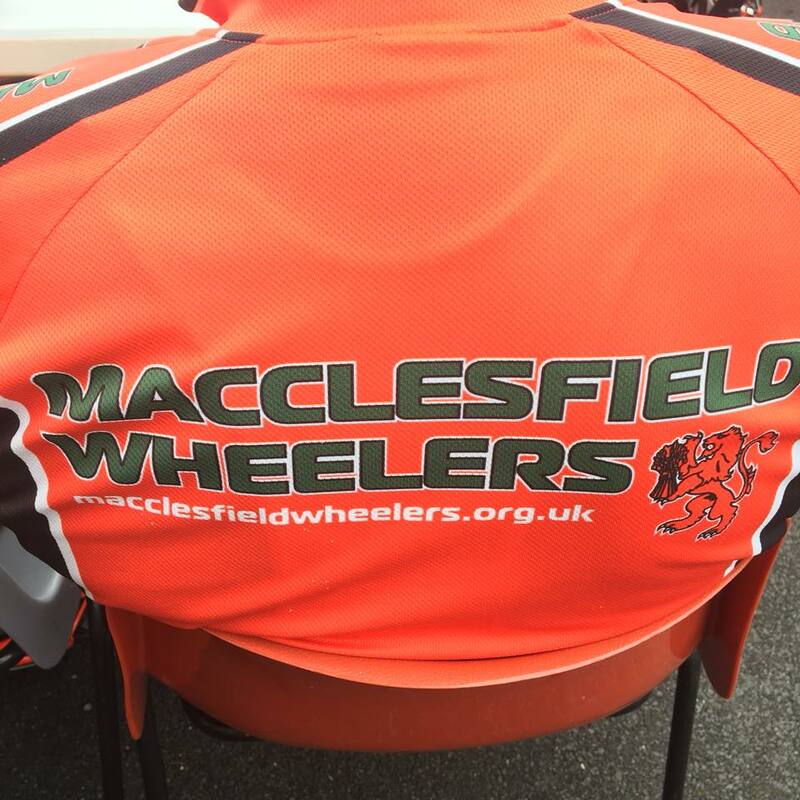 We launch the Macclesfield Wheelers Racing Group on Facebook Messenger to enable members interested in road racing to keep in touch about upcoming events, racing and training tips, etc. Three intrepid riders brave the snow on our inaugural earlybird Saturday Lark Ride, created in direct response to members’ feedback in our first ever club survey. Seventeen riders out on our 1.00 pm Saturday Club Run to Wimboldsley near Middlewich, followed by a Christmas social at the Ship Inn in Macclesfield. 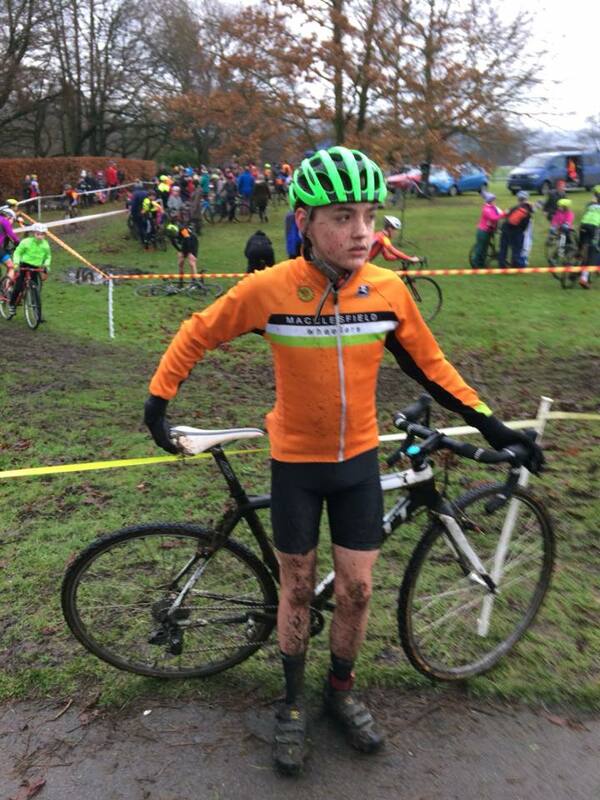 We are very touched by a gift of £3,000 from the parents of former member Ben Rathbone, which we intend to spend on three cyclocross bikes suitable for young riders of different ages so we can run some cyclocross taster and skills sessions, probably with a professional coach and possibly in South Park, together with a large and durable gazebo for shelter (in club orange). The Barry Hyde Circuit of the Edge attracts 55-60 members and guests. We ride this challenging and esoteric route each year in memory of its creator, former member Barry Hyde. After several months of careful consideration and discussion we refine our approach to participation by U18s as follows. All riders must be at least 12 years old to ride with us on public roads. Riders aged 12-17 must be accompanied by a parent or guardian. 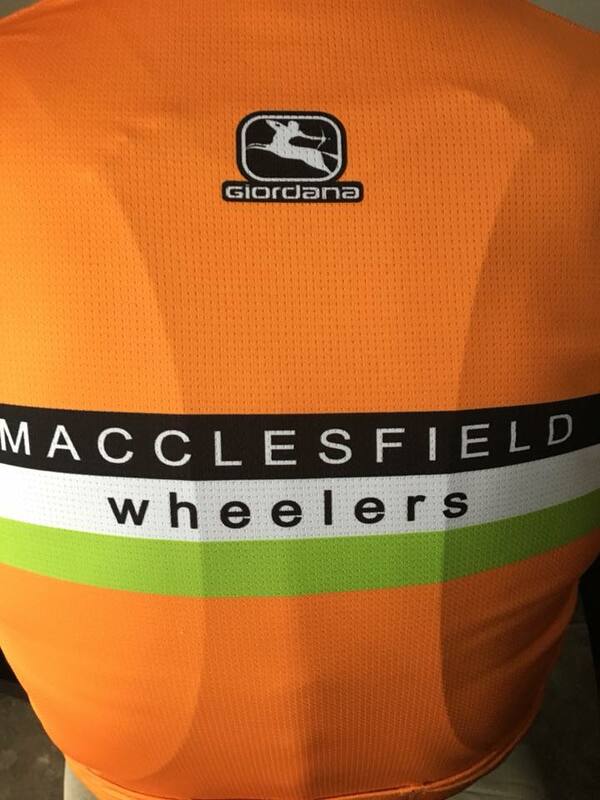 Named adult members of Macclesfield Wheelers can take the place of a parent or guardian, providing they agree this in advance. We start our 1.00 pm Saturday Club Run from the Town Hall in support of the Council’s Cycle Saturday. 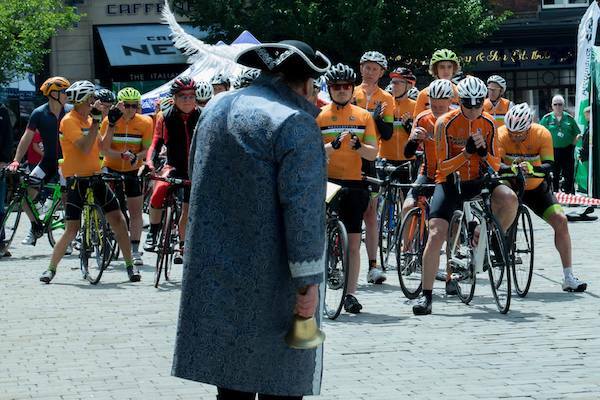 Darren organises the Richard Elliott Three loops Ride: a choice of 100k, 150k or 200k routes to and around Beeston devised by former club chair Richard Elliott, and which we ride each year in his memory. 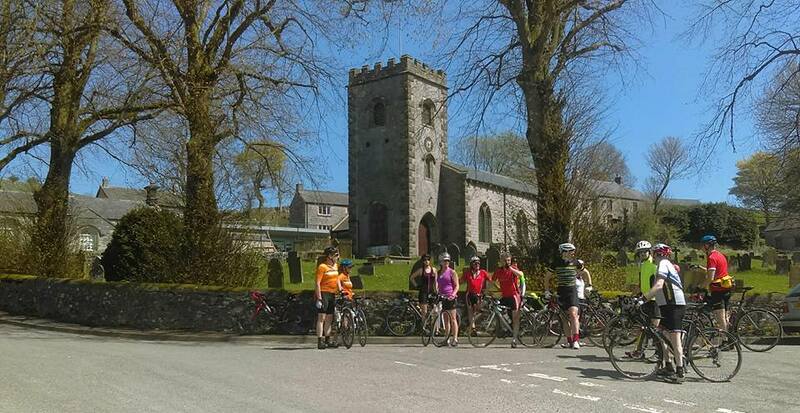 The prospect of riding above the snow line fails to stop the intrepid Wednesday Club Run from heading to Longnor. Ten Wheelers take to the start line for the classic Buxton Mountain Time Trial, a circuit around Longnor, Flash and Royal Cottage. Ben is the fastest from the club and Bhima is spotted in his famous polka dot skinsuit. 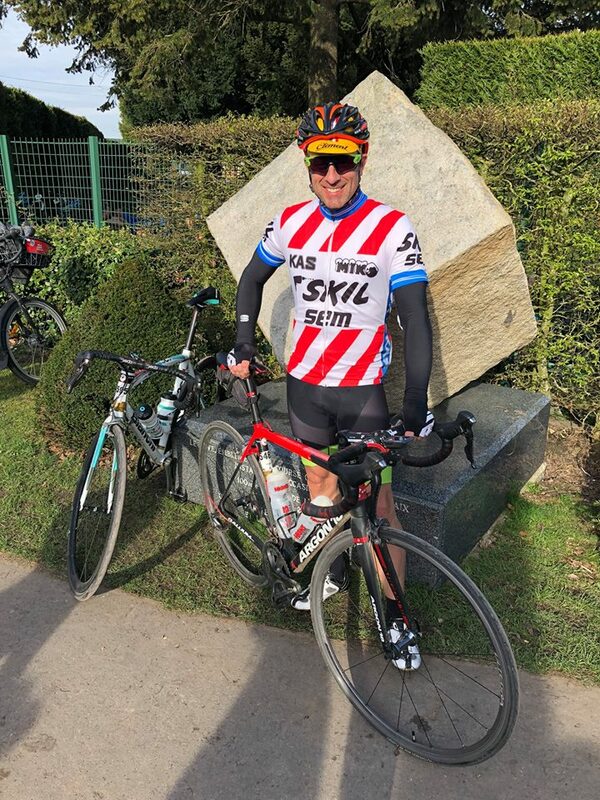 Matt completes the 172k Paris Roubaix Challenge. Eight Wheelers comprise almost 10% of the field of in our Open 25-mile Time Trial on the J2/9 course. Louis, aged 18, is fourth fastest Macclesfield Wheeler in 1:01:06. We’re happily over-subscribed for marshals, even at a time when about 40 members have got themselves out to Mallorca to assess how Sa Calobra compares to the Cat and Fiddle (conclusion: they are both uphill). We run our first Club 10-mile Time Trial on our new course at Lower Withington (JC36). Former Wheeler Mike Cuming, now of Madison Genesis, is fastest on the night at 22:01 and sets us all something to aim for (fastest Wheeler is more than six minutes slower). Eschewing the charms of the Cheshire Plain for a change, the Sunday Easy Ride heads up country to the Peak District with the keener and fitter riding from Bollington and the saner and slower driving up to the Goyt Valley car park, from where all 18 ride to Longnor for a much needed café stop. Louis, aged 18, and Ollie, aged 14, ride the Crewe 2-up Hilly TTT an average of over 23 mph. 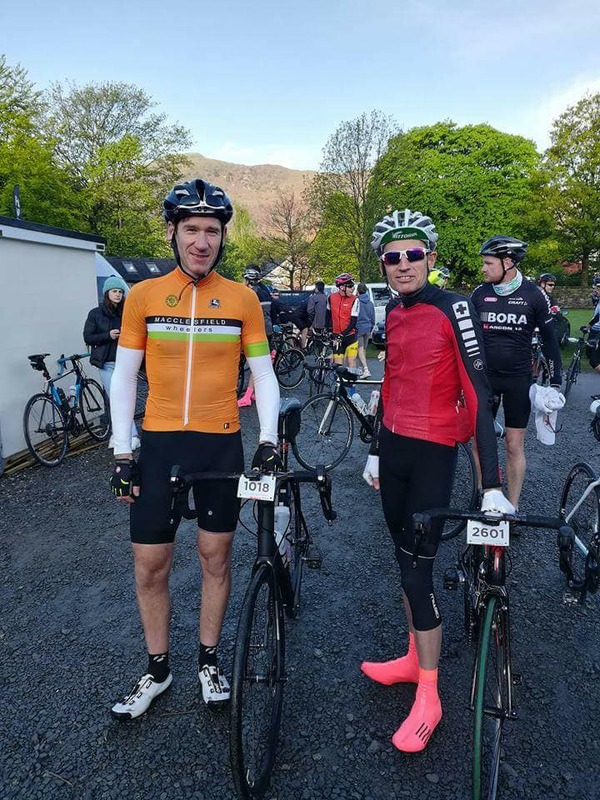 Paul makes his first appearance at the Lake District’s Fred Whitton Challenge, a sportif described by Cycling Weekly as ‘The Definition Of Suffering’. Paul achieves an astonishing Elite time of 6 hours 44 mins. Rich and James are no slouches either, both achieving Gold times of 7 hours 45 mins. We introduce our new plastic, credit card size, membership card, designed by new-last-year member Jon, and which includes space for members to write their emergency contact details and any medical information. 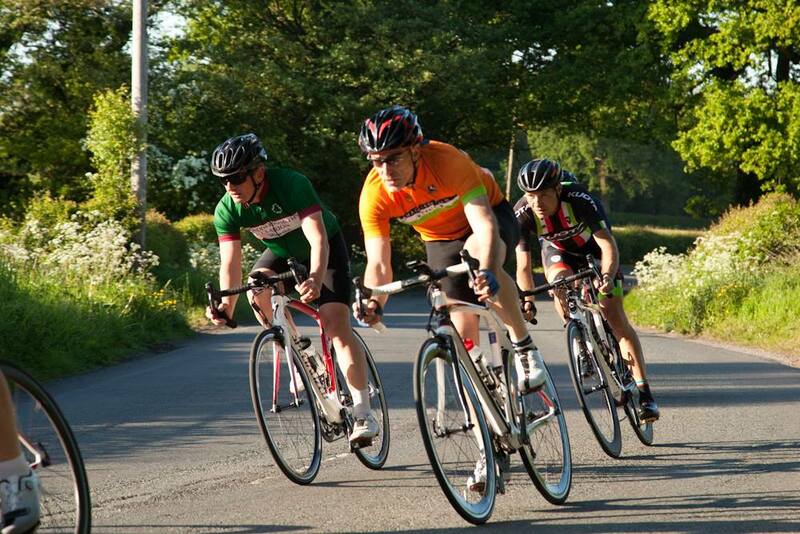 Our annual Evening Road Race on the Siddington Circuit promoted via TLI Cycling is over-subscribed for entries and a full field of 80 riders take to the start line, including six Wheelers. More than 20 members help stage the event, including some who are new to marshalling. Great weather makes for a successful evening and some great racing. Unfortunately there’s a finish-line crash that requires medical attention, but the unflappable motorbike marshals handle this calmly and professionally and Mersey Medical provides first aid. In the first leg of the Karl Austin Inter-Club 25-mile TT, our annual showdown with our friends from Congleton Cycling Club, Ollie, aged 14, and Matt, aged 14x2+20, lose time to a loose cow running amok on Twemlow Lane (there’s a first time for everything). Nevertheless, Ollie goes on to clock an excellent time of 1:02:40. The cow’s time is unrecorded. The day sees the return of the legendary Malverns Classic mountain bike event after a 20-year hiatus. Brian, Dave and Matt had all competed in the Malvern Hills during the 1990s, each probably wearing more purple lycra than is nowadays socially acceptable. Also joining Team All'reet are Joe and Paul, with Joe going on to win the Youth class in cross country. Paul is lumbered by an excessively heavy Camelback (forgetting to remove his heavy-duty bike lock) and Matt by mild concussion, having crashed leaping out of the infamous Malvern bomb hole the day before attempting to relive his youth. 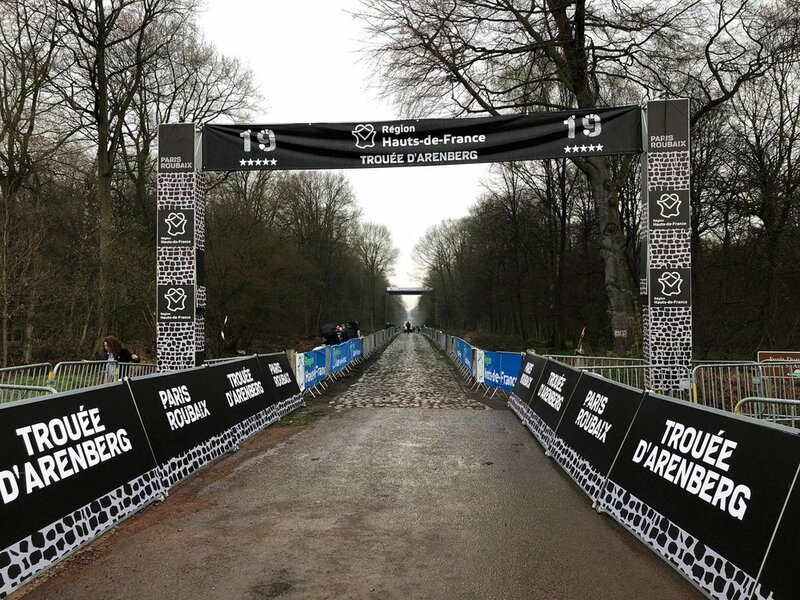 Lessons are learned but the bite for MTB racing is reinvigorated. Matt completes the 100-mile L’ Eroica Britannia retro event in the Peak District on a pre-1987 bike with toeclips and straps and downtube shifters. 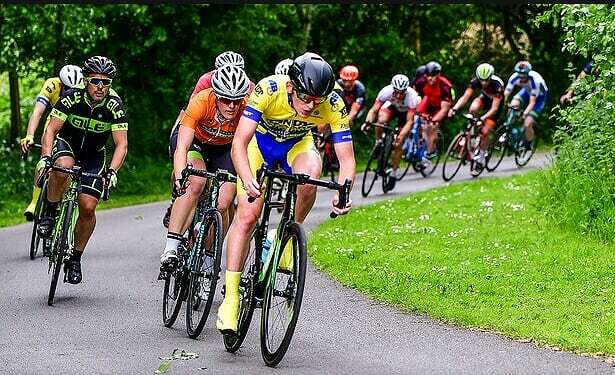 Ben takes first place in The Edge Cycleworks Crits 2/3/4 at the Salt Ayre Sports Centre in Lancashire. Ben (yes, he’s out again), Simon, Jamie and Matt clock 55:22 in the Warrington RC 4-up 25-mile TTT for sixth place overall, but Jamie clips a wheel and hits the road very hard at around 30 mph just after the chequered flag. 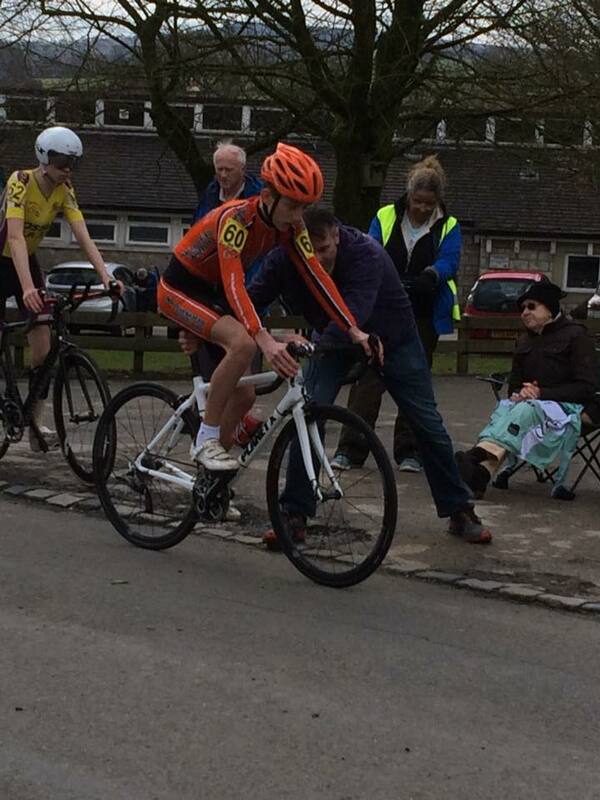 Simon is the fastest Wheeler with 59:31 in leg two of the Karl Austin Inter-Club 25-mile TT, organised and marshalled by 11 club members and Jamie’s son Jack, making sure his dad stays off the bike for this one (see above). Congleton CC retains the trophy. 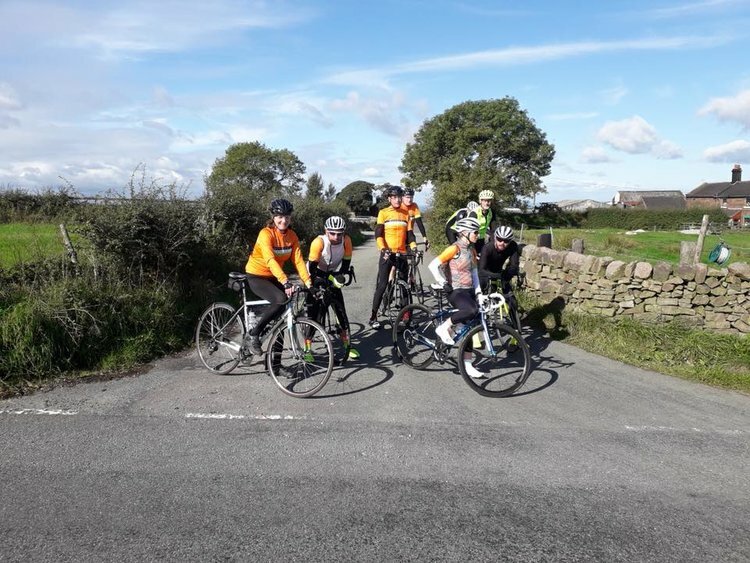 Thirteen off-roadies complete the traditional annual midsummer journey up and over the Peak District to Langsett and back, covering 80 miles and taking in 7,500 ft of climbing, as well as several pints at the Miners Arms upon their safe return. The following day Robert and Matt go on to give the Macc Harriers a run for their money in the Teggs Nose Fell Race, finishing third and fifth respectively. 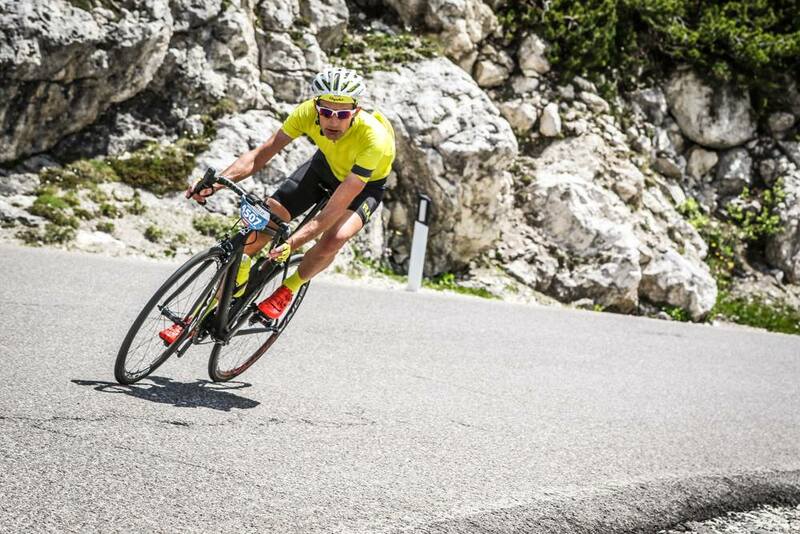 James joins 9,000 other riders on closed roads with national TV coverage and helicopters tracking his every move on his second Maratona dles Dolomiti with 85 miles and more than 13k feet of climbing over seven mountain passes. James takes a stonking 39 minutes off his previous time and comes 72nd in his age category and 940th overall. 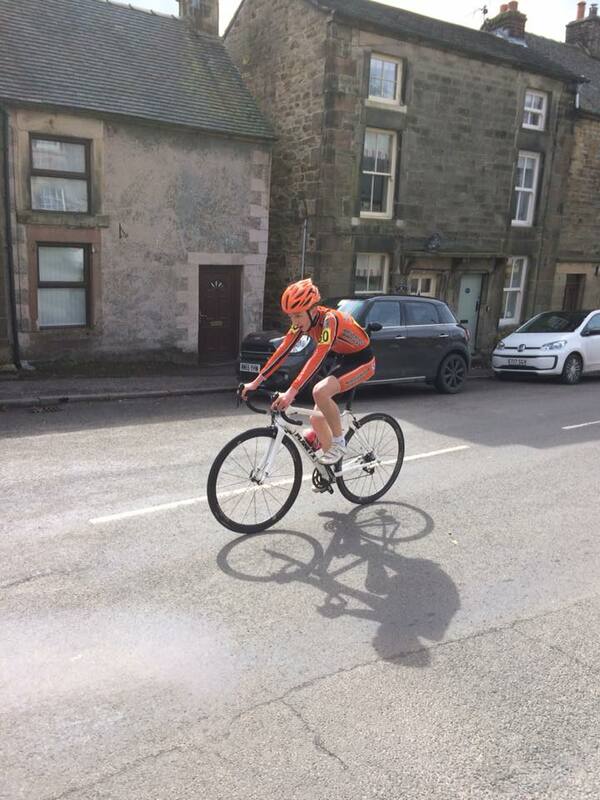 Matt enters his first 100-mile TT but the J4/18 course is shortened to 92 miles at the last minute due to roadworks. He finishes in 15th place on a scorching hot day. Seven well turned out Wheelers turn out at 18.50 for our mixed ability Easier Training Ride at 10-2-7 and are delighted to have the opportunity to a bit train harder owing to a very strong breeze coming from everywhere. In a touching display of sporting solidarity with the national squad, the Lark Riders unilaterally take the unprecedented decision to get out of bed earlier and leave an hour earlier at 9.00 am in order to be back to watch England beat Sweden. 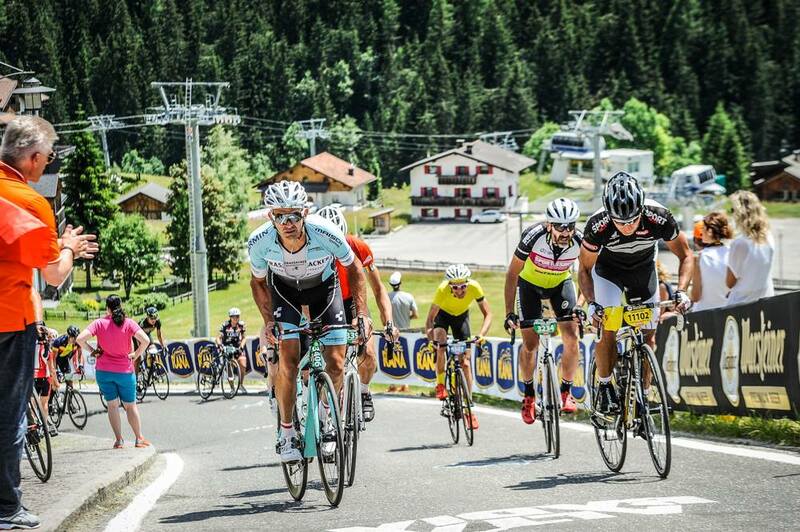 Simon, Ant, Dan, Steve, Ruth and Karl ride La Marmotte: 108 miles and 15k feet of climbing in the Alps, considered to be one of the hardest of any cyclosportives, and concluding at the top of Alpe d'Huez. Dame Sarah Storey joins 15 club members for our weekly 10-mile Time Trial on our new course at Lower Withington. 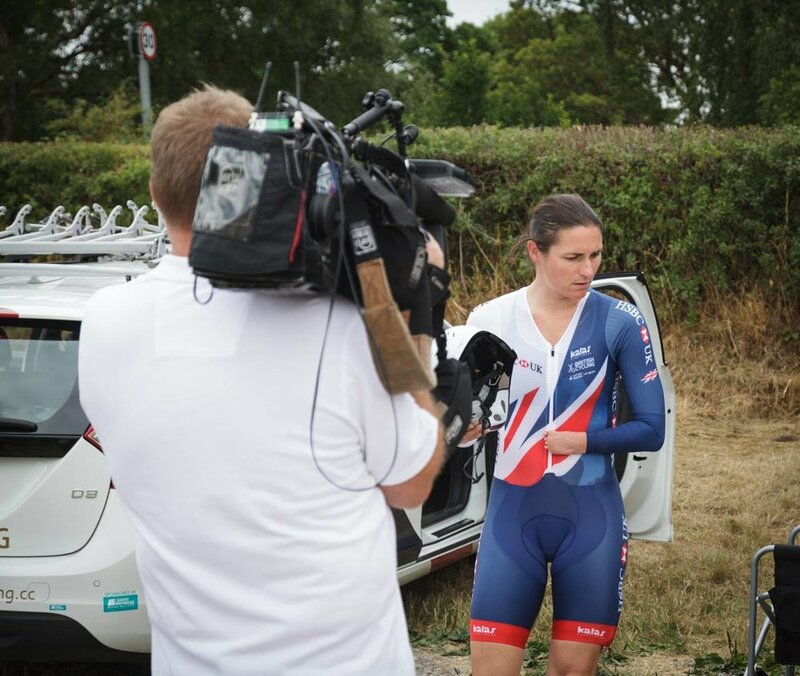 She’s accompanied by members of her team, Storey Racing, and a BBC film crew making a documentary on her preparations for the World Championships. Dame Sarah records the fastest time at 22:33 and takes to social media to say how much she likes the course. 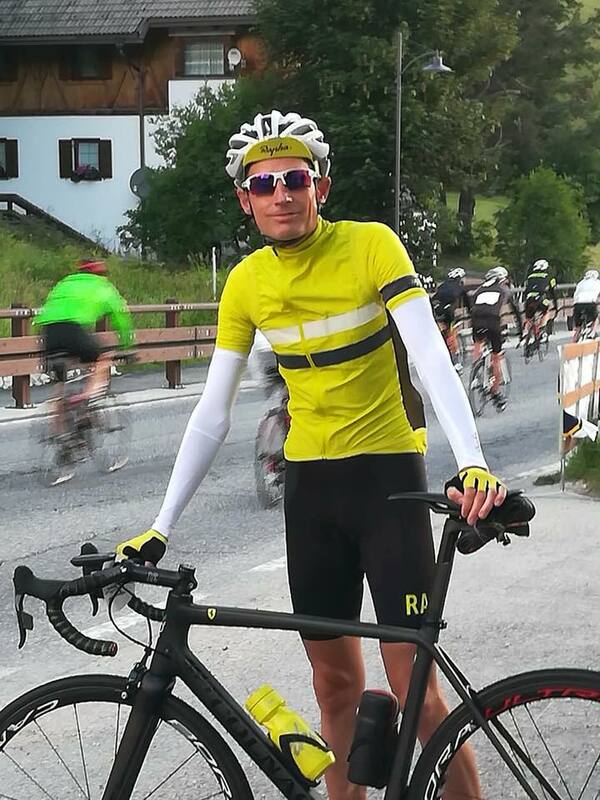 Mike R wins the prestigious Cycling Weekly Tour Sock Selfie Competition and £100 with a classically composed shot on Welsh corner of Alpe D’Huez. 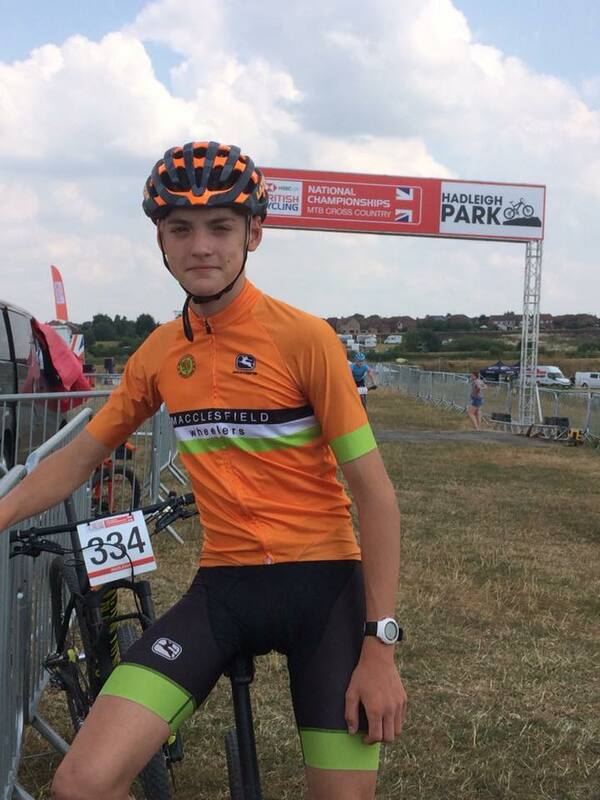 Joe’s dad Dave drives him all the way to Essex where Joe finishes ninth in the male youth event in the National MTB XC Championships at Hadleigh Park. Dave wins the admiration of all parents by driving Joe all the way home again. Jo and Monica race in the women’s 2/3/4 cat race at Darley Moor, and Monica takes third place. Nine riders out on the Faster Club Run to Langsett via Strines and home via Woodhead and Hayfield with 2,000m of climbing over 75 miles at an average speed of 17 mph. 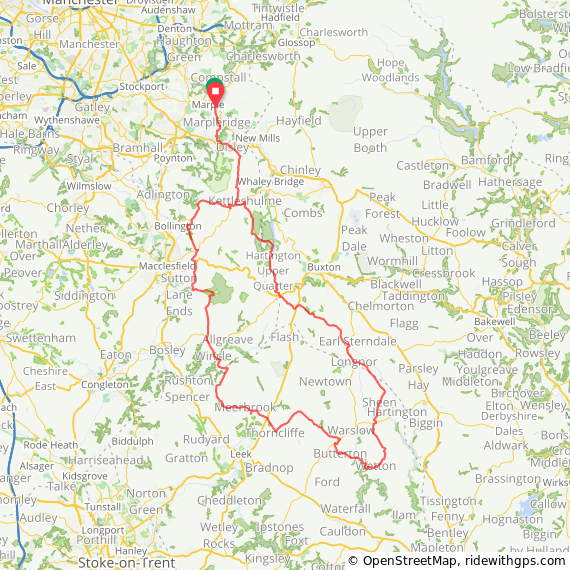 After not getting home until 18:50, ride leader Dave decides that the next ride might be a bit less epic, say 74 miles. New-this-year member Snowy joins the last of our 10-mile TT series and achieves 30:15 on his first ever TT with his ten-year-old daughter Anwen on their twenty-year-old Dawes Galaxy Twin touring tandem complete with mudguards and pannier racks, pursued by his 13-year-old son Thomas also riding his first TT. After also sampling our Saturday Club Run, Lark Ride and Easier Training Ride, Snowy later extends a Sunday Easy Ride on the tandem to chalk up Anwen’s first 100k as well as encouraging Thomas around his first 100k at the Wiggle Staffordshire Forest Ranger Sportive. 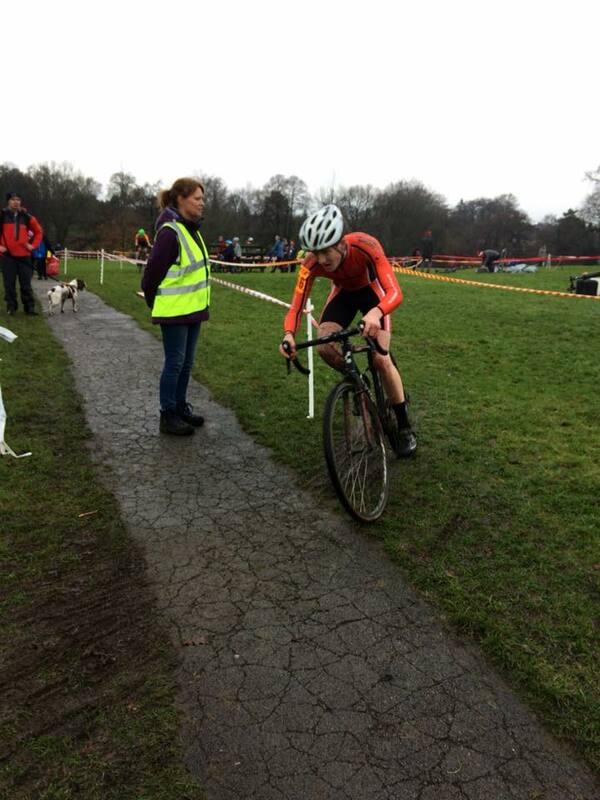 Joe wins the final U16 event in the Yorkshire Cyclo Cross Association Summer Series at Almondbury, Huddersfield and seals victory as U16 winner for the series. Life member Celia opens a fascinating Cycling Exhibition at Chelford Church that she’s organised and which remains open until 8 September. The widow of former World Champion, Reg Harris, who is buried at the church, is one of the many visitors. 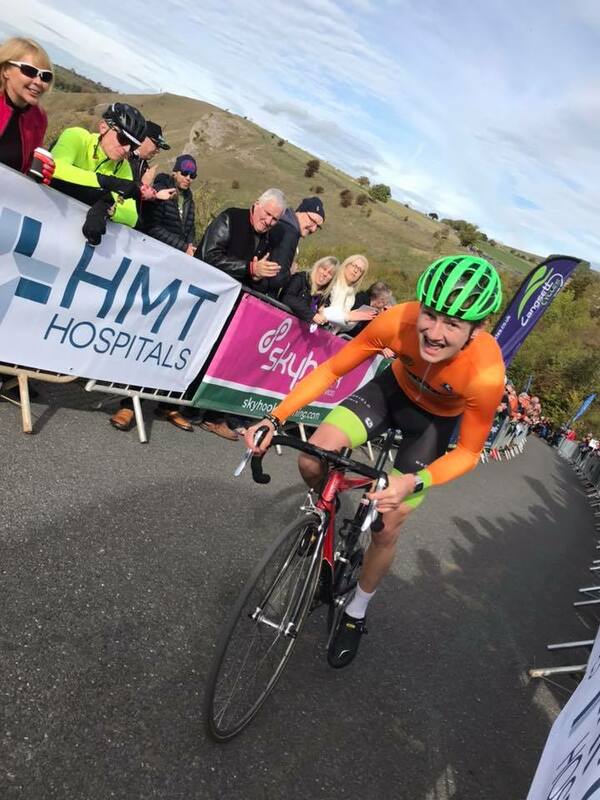 Ben is the quickest Wheeler in the Pym Chair Hill Climb at 4:09:00 with 16-year-old Patrick in third place at 4:23:59. Patrick goes on to become our 2018 Junior Hill Climb Champion the following week by delivering 24:36:00 on the Cat and Fiddle. 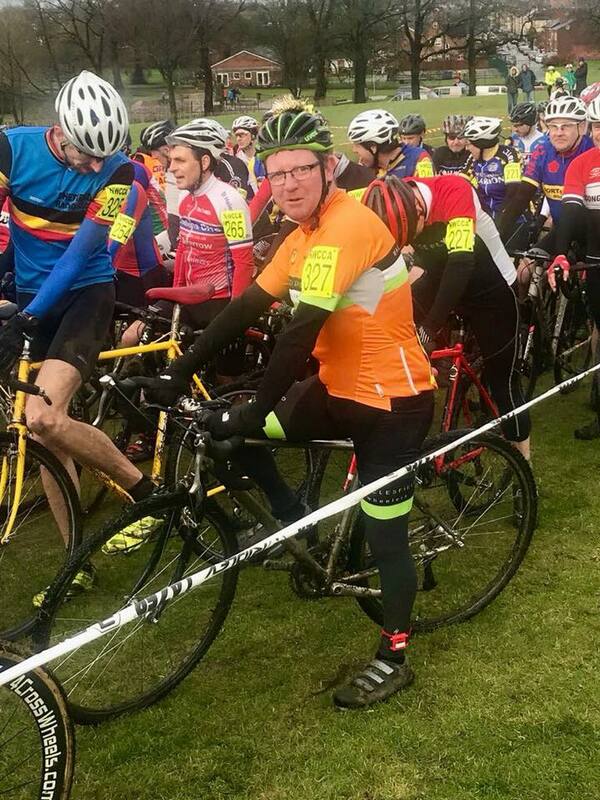 Life member Mike Bobs, aged 75, celebrates 50 years as a Macclesfield Wheeler by completing his fourth Roses to Wrags 212km Audax with 1,400 metres of climbing and ticking off his 51st Audax of 200k or more. Nearly 50 riders join our 70th Anniversary Club Run starting at the site of Brough's Cycles in Waters Green where the club's first ever club run set out for Lymm on Sunday 15 August 1948. The Lymm cafes have become a bit busy since 1948 so five groups go down the road to High Legh Village Hall, to enjoy a delicious vegan birthday carrot cake, and many other cakes made and served by volunteers raising money for Riding for the Disabled. Dave and four others trial a new ride on the trails. The Gravel Ride is born. Monica takes first place at the John Hinksman Memorial Women's 2/3/4 race at Darley Moor. Eddie, Fred, John, Marcus and Mike conquer 90 miles and 9,000 feet of climbing in horrendously wet conditions at the annual Wild Wales Challenge, with life member John making his 33rd appearance at the event, having missed only the first one. 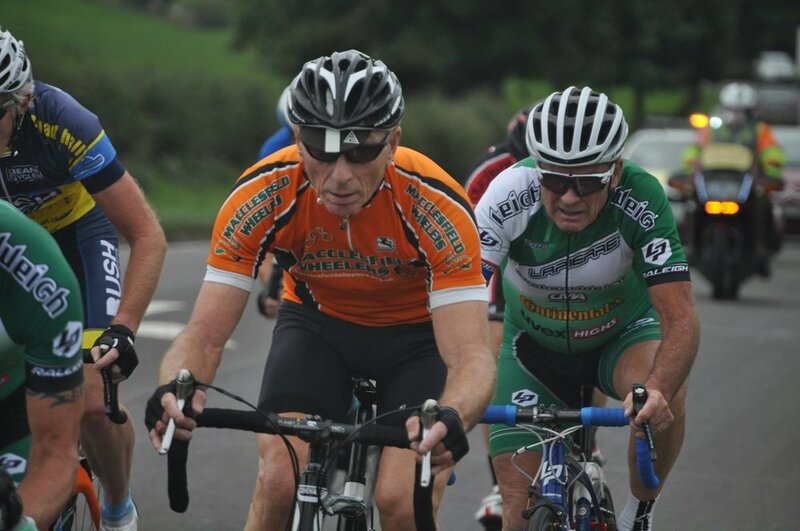 Paul is the only Wheeler to complete each event in the Peak Audax Marple Series: five hilly rides of 100k+ on consecutive Wednesdays. 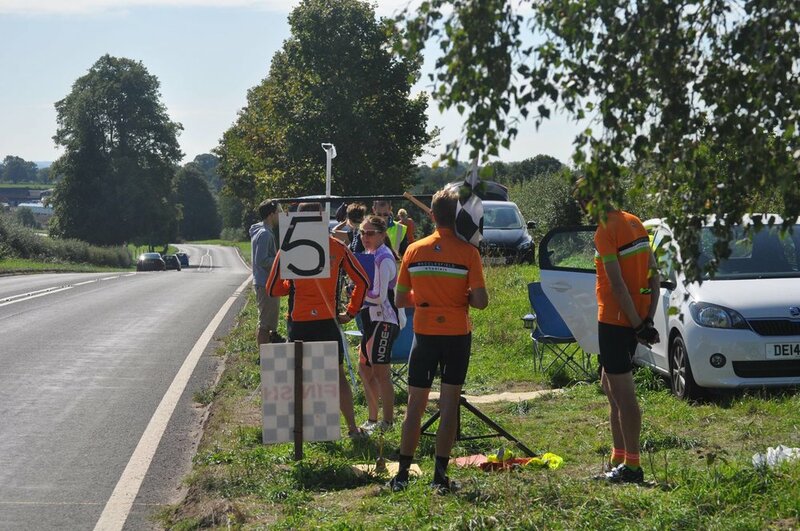 More than 30 Wheelers turn out to help at our J F Parkinson Memorial Road Race, part of the Lapierre sponsored TLI Cycling Road Race Series and one of the club's major promotions, in which this year a full field of 80 (including 8 Wheelers) compete for £600 in prize money. We’ve run this event for more than 60 years in memory of John Parkinson, who was killed while returning from a club run. Donations for refreshments generate £90 for the Motor Neurone Disease Association in memory of former member Colin Fenwick. 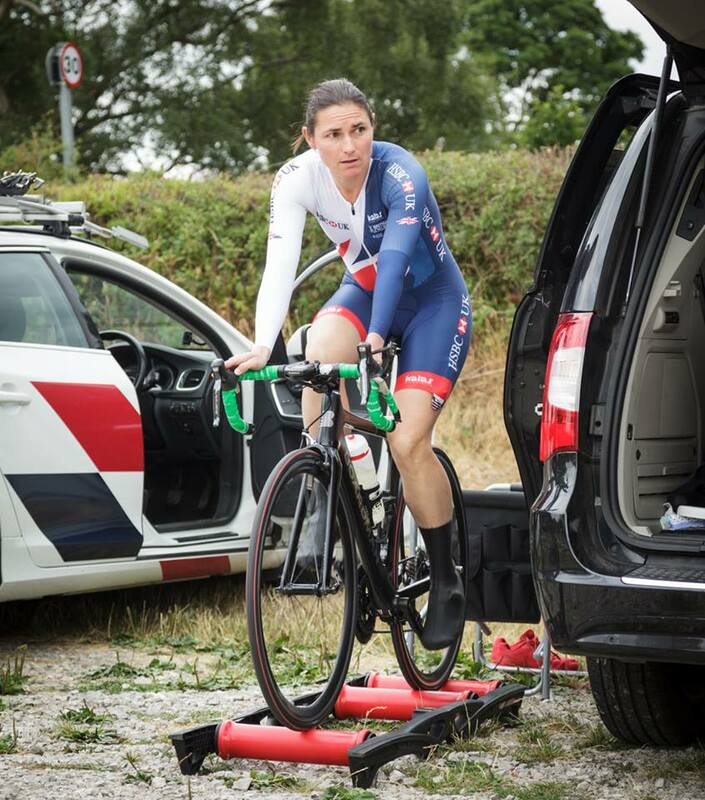 Jamie represents Team GB at the UCI Grand Fondo World Championships in Varese, Italy, racing on a closed circuit for 130 km and 2,000m of climbing and finishing in 4 hours and 9 minutes against a very high quality field of over 2,600 riders from about 60 nations. 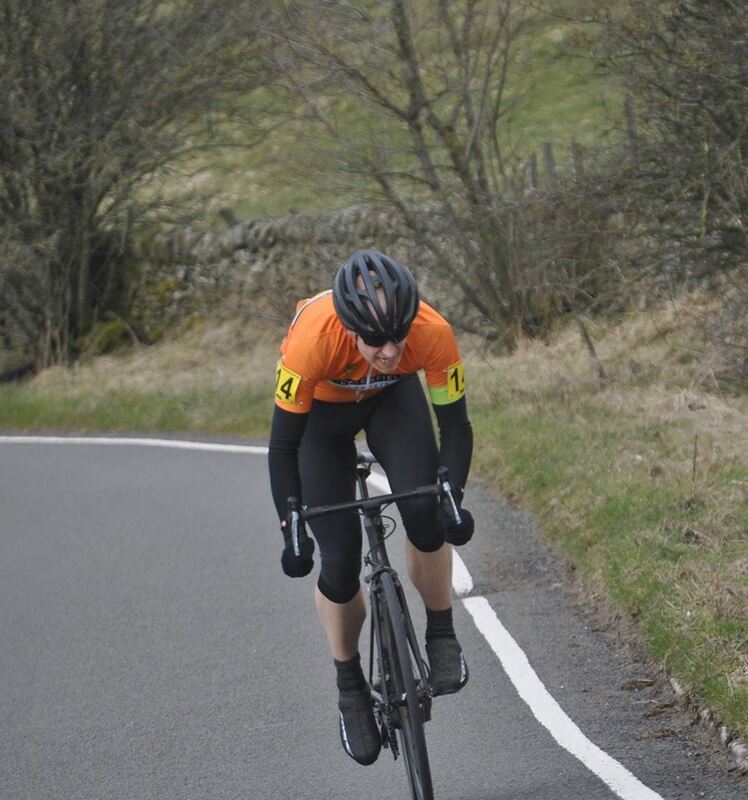 Five Wheelers ride 4.4 miles as fast as they can up Long Hill out of Whaley Bridge in the Buxton Cycling Club Open Hill Climb. Bhima is the fastest Wheeler in 15:53 and he, James and Simon win the team prize. Vikki, who started with our Sunday Easy Rides in 2015, completes Ironman Wales 2018 in Tenby, her second Full Ironman. 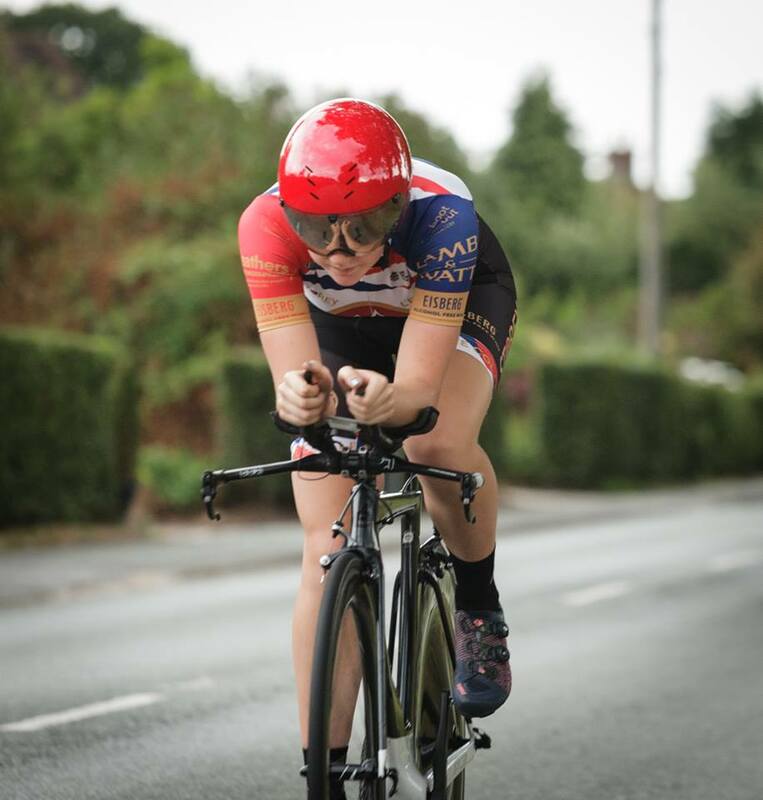 Daisy finishes 38th and third best British competitor in the 2018 ITU World Triathlon Grand Final Gold Coast in Australia. 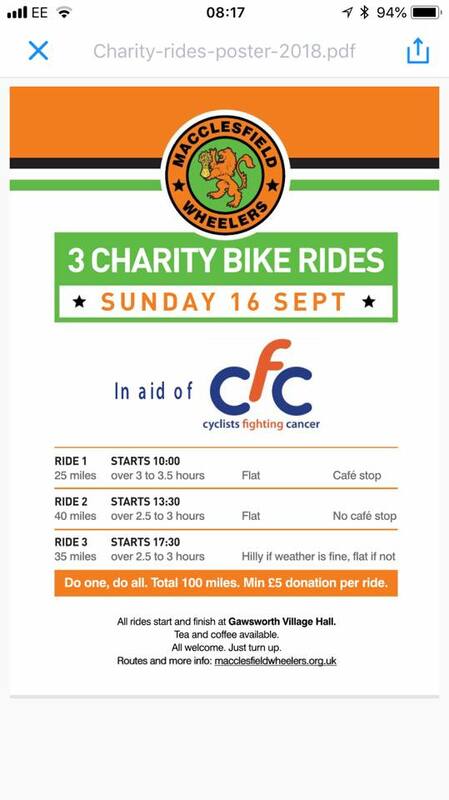 Our three Charity Rides, starting at Gawsworth Village Hall, raise £227 for Cyclists Fighting Cancer (which has the fabulous charity bike shop in Prestbury), with 25 members and 9 guests choosing between 25 flat miles at 10:30, 45 flat and wet miles at 13:30 and 35 flat and hilly miles at 17:30. Paul rides all three and Brian joins the first ride after completing a 50-mile walk the day before! Monica takes second place in the Nateby Classic Women’s Road Race on the Fylde coast. The club wins the team event in the Weaver Valley Hill Climb on the Cat and Fiddle. The Lark Ride to New Mills attracts 14 riders who brave unseasonably cold weather on The Chimneys (between Axe Edge and the Cat and Fiddle) to pose for a professional photo shoot for the new website we’re developing. The high turnout is a complete coincidence and nothing whatsoever to do with the lure of publicity. 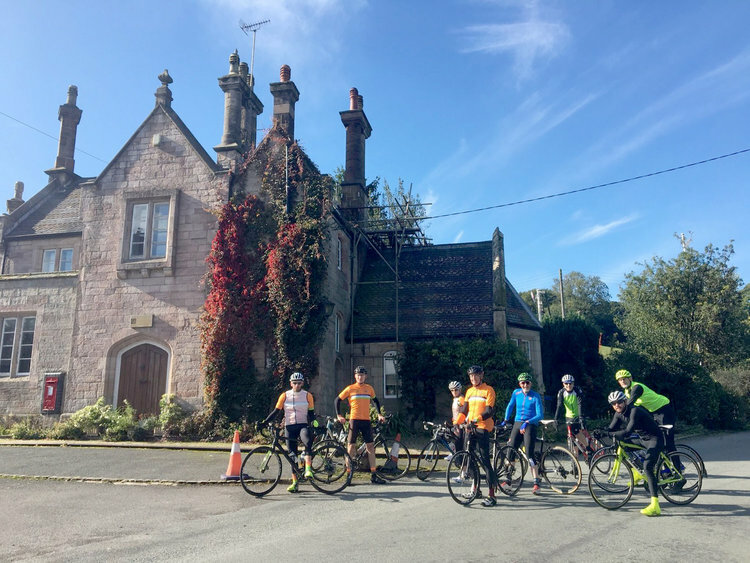 Thirteen riders turn out for our Inaugural Circuit of The Cloud, a new event based on the idea behind the club’s iconic Barry Hyde Circuit of the Edge: up and down a sequence of climbs centred on Bosley Cloud. Our fortnightly entry-level 25-mile Saturday Social Ride attracts 13 riders. The ride is designed to help new riders discover how good it is to ride with others. 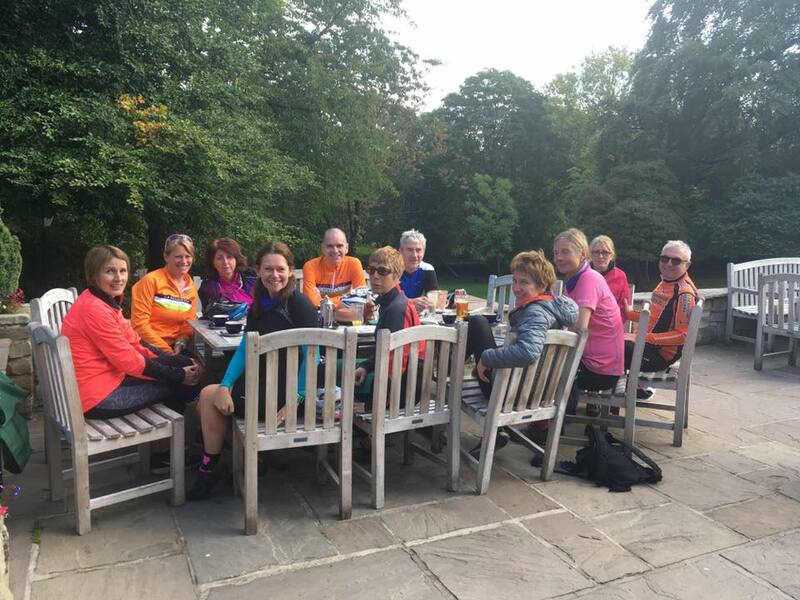 Created by Brian and Paul last year and relaunched by Brian and Rachel in July, it’s proving particularly effective in attracting new women riders, with nine women joining today’s ride. A group of Sunday Easy Riders ride back from Bishops Castle (it’s in Shropshire), having ridden out there on Friday and around there on Saturday. 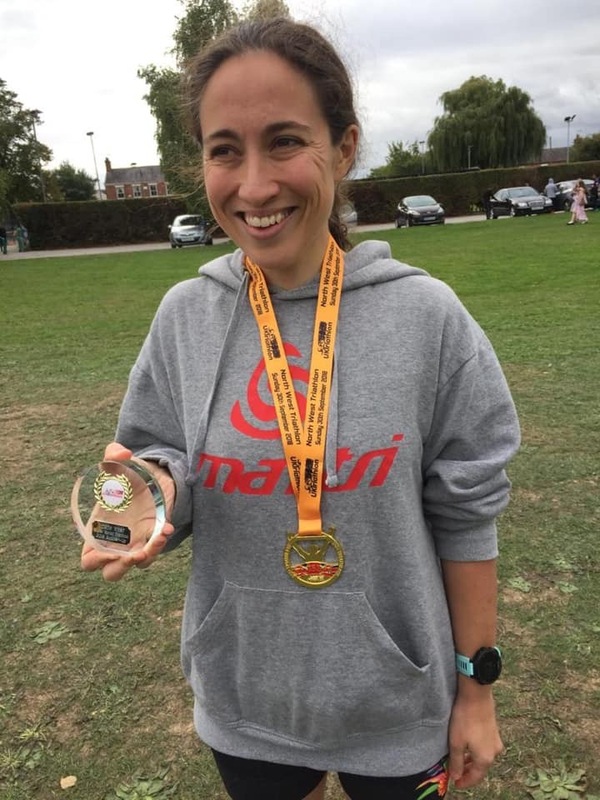 Adele takes first place in the women’s race at North West Super Sprint Triathlon at Nantwich. Ruth becomes the first women to complete 20 of the 3 Peaks Cyclo-cross race, widely regarded as the toughest on the UK cross calendar, and Brian makes his 19th appearance. Eelco, Mark and Matt also complete the race. We run the first of our new Tuesday Fast Training Rides. Ten riders average 21 mph round the Goostrey loop to the bottom of Artists Lane. 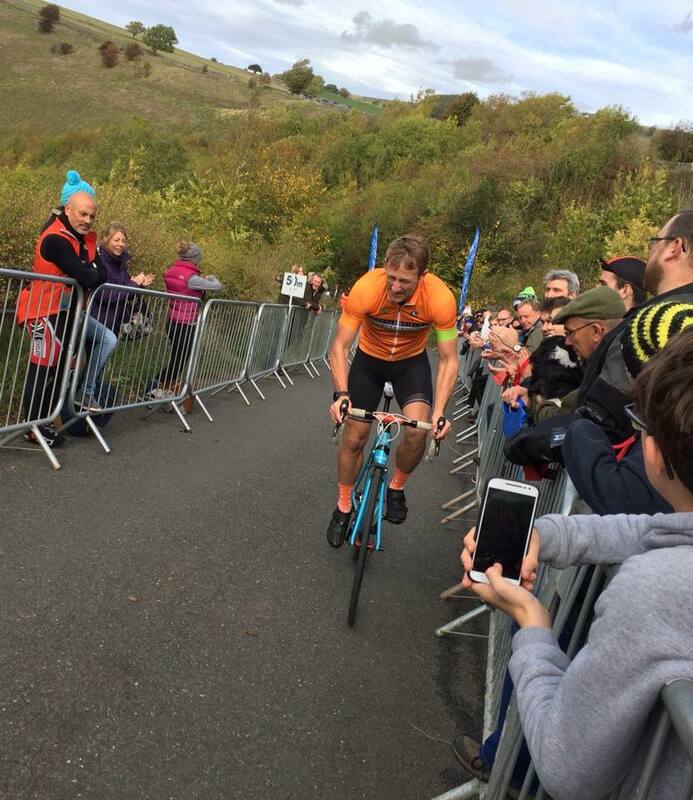 Ten Wheelers take part in the classic Monsal Hill Climb where Matt is the fastest Wheeler and 30th overall, while Jo finishes 8th overall in the women’s event. An encouraging turnout for the third of our new Monday evening Social Training Rides, created by Brian after requests from graduates of the Saturday Social Ride wanting to do a bit more, ie 20 miles in about 2 hours, getting used to riding in the dark, riding a little closer together and taking turns on the front. Many on these rides are new club members, supported by experienced riders. Steve Davies wins Gold in the M65+ Team Pursuit at the UCI 2018 Masters Track Cycling World Championships in Los Angeles. Lynne comes eighth in the 2018 Manchester & District Ladies Cycling Association Best All Rounder competition. New-last-year member Simon and new-this-year member Katie tackle the Matlock Top 10: that’s 10 climbs boasting some of the best 20%+ gradients in the area, scaling 5,696 ft in just 38 miles. Beset with atrocious weather, one puncture and two falls, seven are achieved, leaving the rest to complete in less inclement weather. 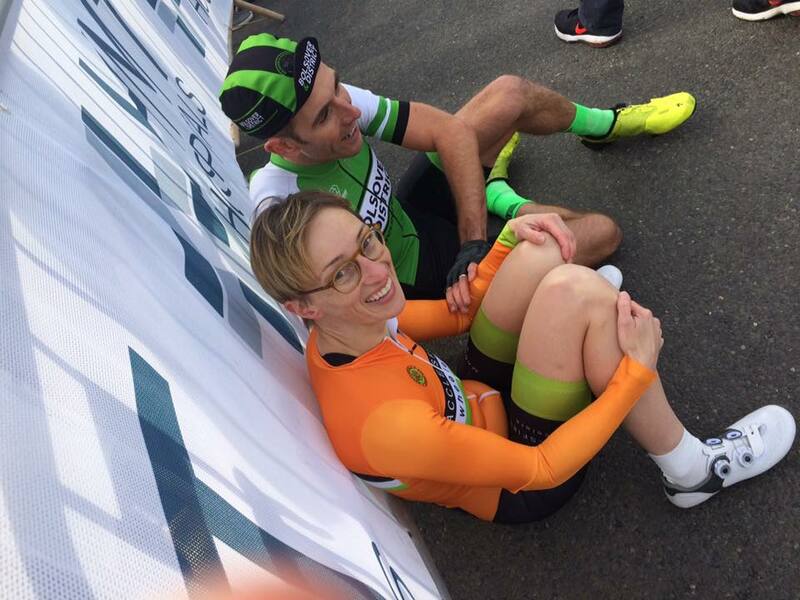 Both riders are indebted to the kind couple who help after the second tumble. Lynda represents Team GB and takes sixth place in her age group in the 2018 Ibiza ETU Middle Distance Triathlon European Championships. Middle distance? That’s a Half Ironman. 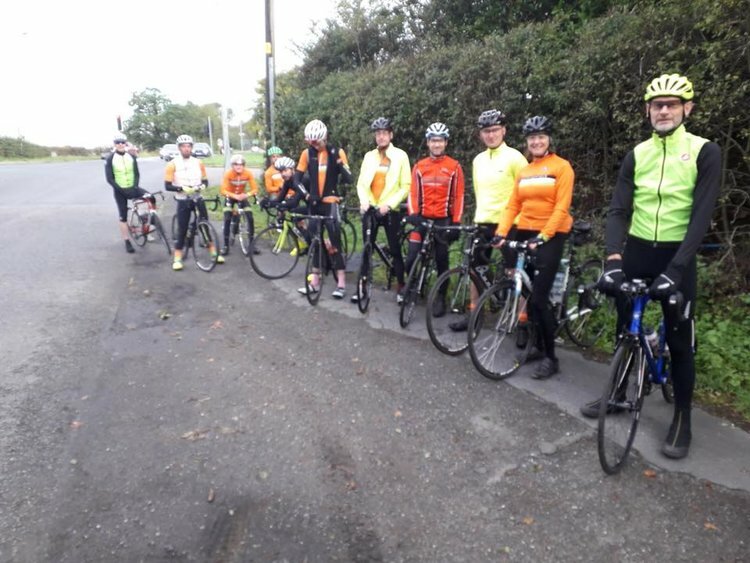 Our very popular Sunday Winter Training Ride led by Monica sees 13 riders heading out to Lymm at an on-target average of 18.5 mph for 52 miles. 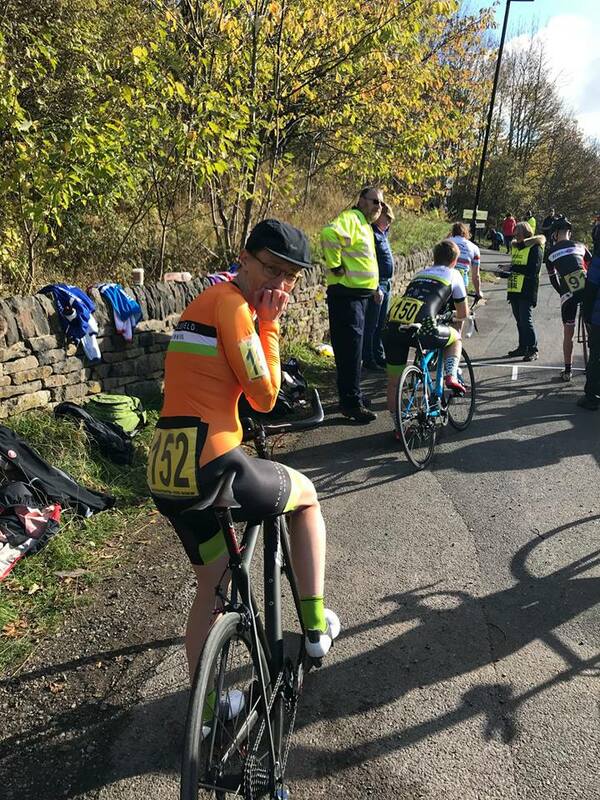 Jo, Simon and Bhima ride in the National Hill Climb Championship on Pea Royd Lane in Stocksbridge. We launch our 2018 Club Survey to try and ascertain how many times members ride with the club in an average month (and if they don't ride with us at all, what we might be able to do to encourage them) and what they think about volunteering. Monica takes third at the HMCC CX race at Beacon Park, her first ever cyclocross podium. Jo and Simon drive round the M62 almost to Huddersfield to ride uphill for a couple of minutes. 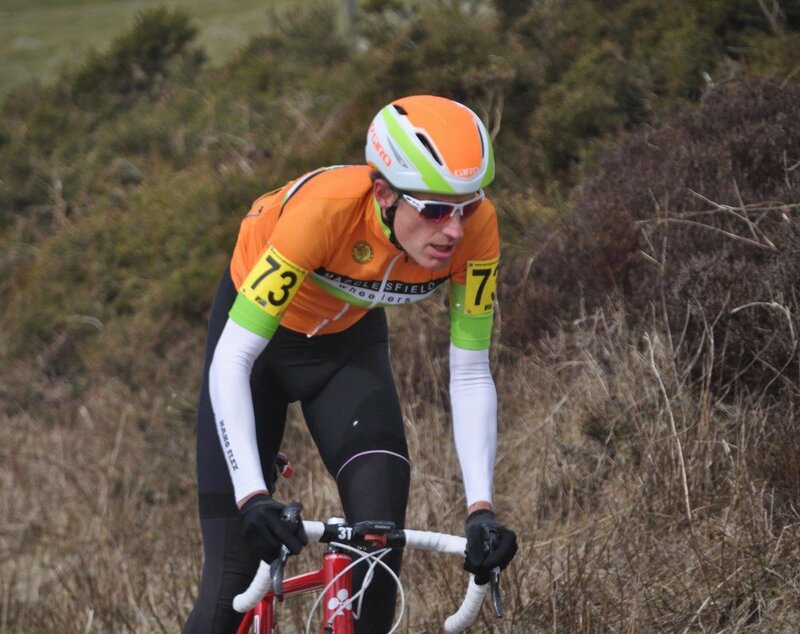 on the new 3RT Scammonden Dam Hill Climb with a gradient in places of 25%. Jo takes second overall and first veteran female with 2:15. The second of our new Gravel Rides attracts 10 riders out for 40 miles picking out the bridleways, lanes and quieter tarmac around Cheshire. Everyone has such fun that ride leader Dave graciously accepts their entreaties to make this a monthly ride. Dominic wins the B Class Endurance League in the Brooks Cycles Newcastle Under Lyme Track League with 89 points, a massive 21 points ahead of his nearest competitor. Eddie wins our annual Geoff Stevenson Freewheel Competition, awarded to the rider achieving the furthest distance without pedalling during a Saturday Club Run. Monica continues her incredible form by taking third in the Notts & Derby CX League at Berry Hill Park, making it 15 podium positions in 15 races entered this year (13 road and 2 cyclocross)! Respect! 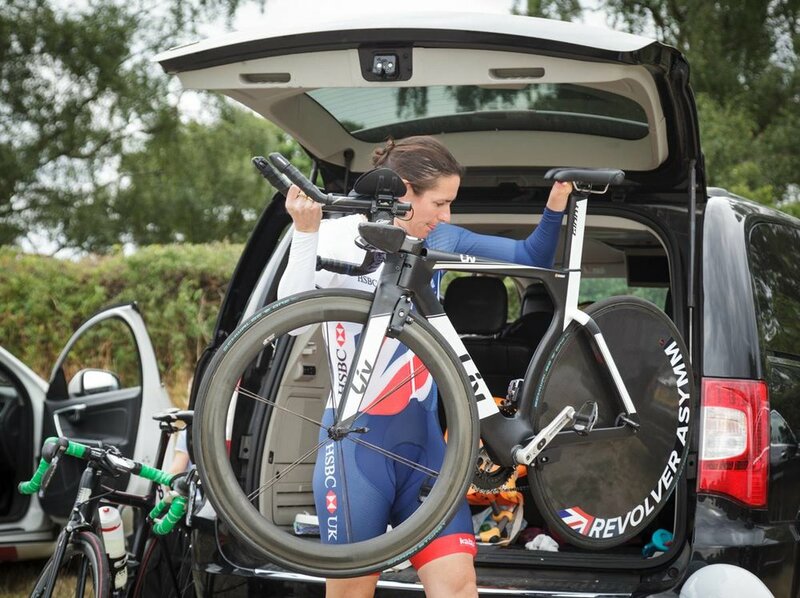 No wonder she’s the first woman winner of our 2018 Road Race Championship. 12 November. We launch our new website. You’re looking at it. 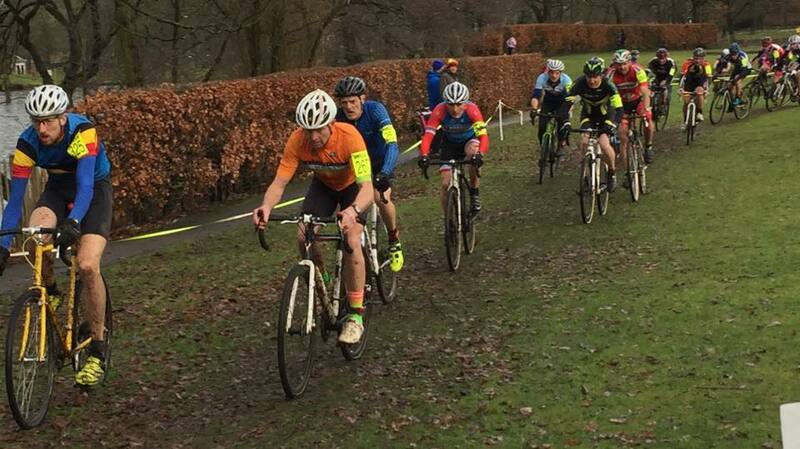 Robert takes first Junior and sixth overall in round 8 of the North West Cyclocross League in Barrow; securing his league standing in fifth overall in what is proving to be a stunning ascent into the main race category in his rookie year. Matt wins our Off Road Hill Climb Competition for an amazing ninth time with Paul and Robert just six and eight seconds slower respectively. We hold our Party Night at Macclesfield Golf Club, organised, as many times before, by the tireless Alison. Membership reaches an all-time high of 270, with a record 66 women and 47 new members in the last 12 months. The club looks forward to 2019 and its 71st birthday.